We all know that in the personal gear that a man should own, there has to be a knife. Well, if you’ve heard the slogan, “It’s not a knife. It’s a Benchmade.”, you know that it is a quality blade. 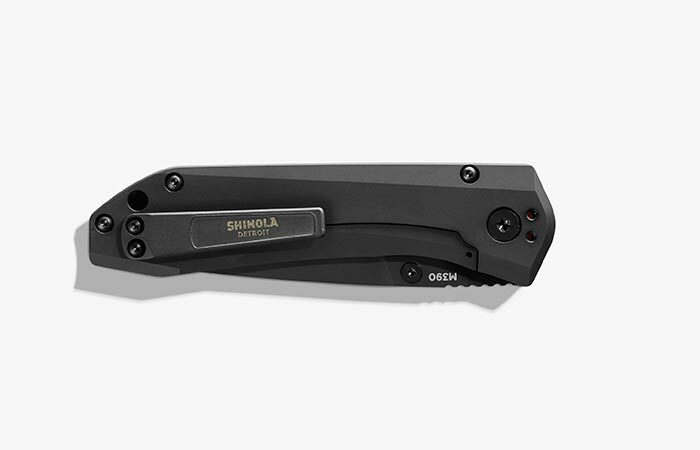 In a recent collaboration between Shinola and Benchmade, we are proud to present their 765 Titanium Pocket Knife. Compact, durable, strong, and lightweight, the 765 Titanium Knife is a must-have accessory. 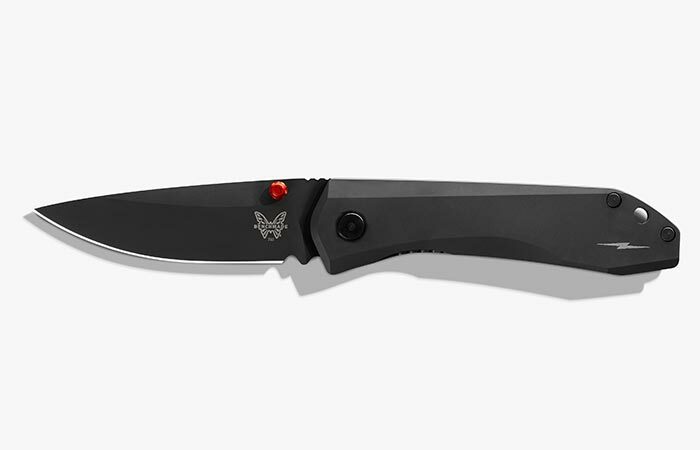 This is the second collaboration between Shinola and Benchmade. Needless to say, we are very pleased that they collaborated again. In addition to a titanium grip, this knife features a 3.24″ M390 Steel blade. Firstly, this knife comes in an exclusive black DLC, which is a diamond-like carbon, coating. This gives this knife incredible scratch resistance and a superb hardness. It also features a slim design that makes it excellent as a pocket knife. Compact, lightweight, and super durable, this knife belongs on every mans belt. The handle itself is constructed from titanium and has a very balanced and comfortable feel to it. This also makes the knife lightweight, super strong, and corrosion resistant. The orange anodized spacers adds color and style to the overall look of the knife. Besides this, the blade measures in at 3.24” and is made from M390 steel. 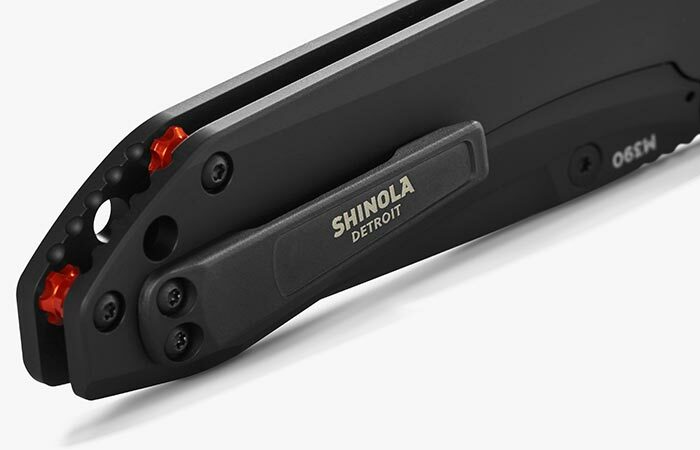 It also features discreet Shinola branding. The folder is made from titanium and bearing washers that create an extremely smooth folding action. Get it from Shinola here. 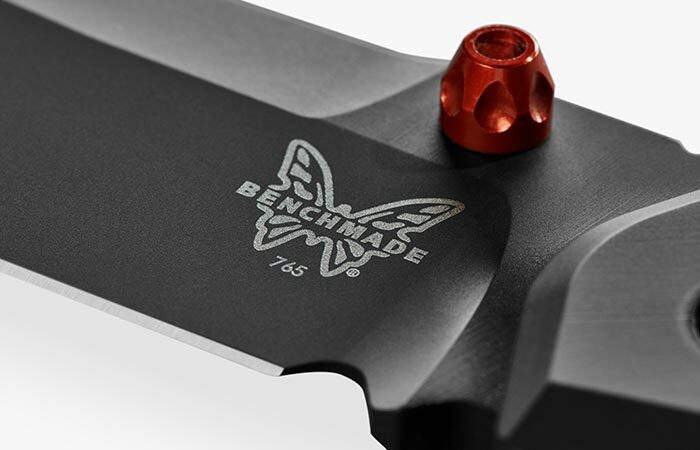 The knife has been discreetly watermarked by both Shinola and Benchmade.